The Amalfi’s softly contoured sides flow gracefully uncluttered by waste pipe work, and an extended backrest provides full head support; essential for those long luxurious soaks. Bathroom Studio Design has enhanced the beauty of the Victoria & Albert Amalfi bath and created an original product in its own right. Hand sprayed and set using a metallic paint, we have taken bath design to the next level, and now offer various colour and finish options. 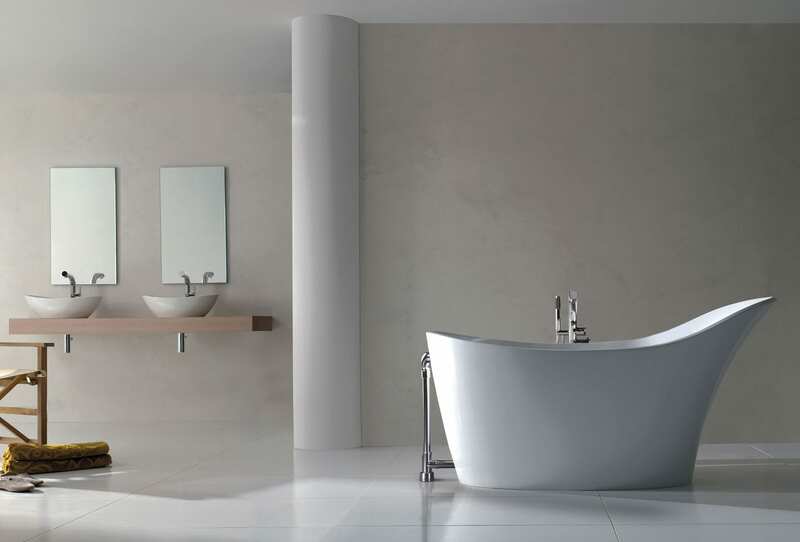 Visit our showroom to see the Amalfi bath displayed in Metallic Silver, now at an ex-display rate.